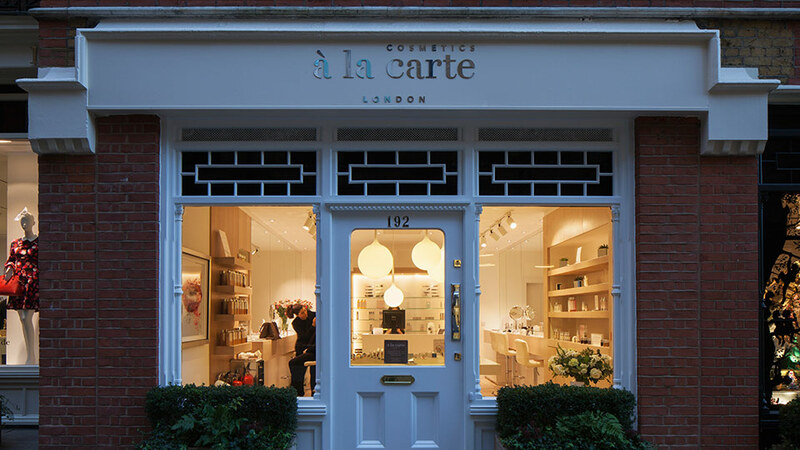 Tucked away in a little side street just off Chelsea’s Sloane Square, this was a retail lighting design project that got the beauty aficionados amongst us very excited. 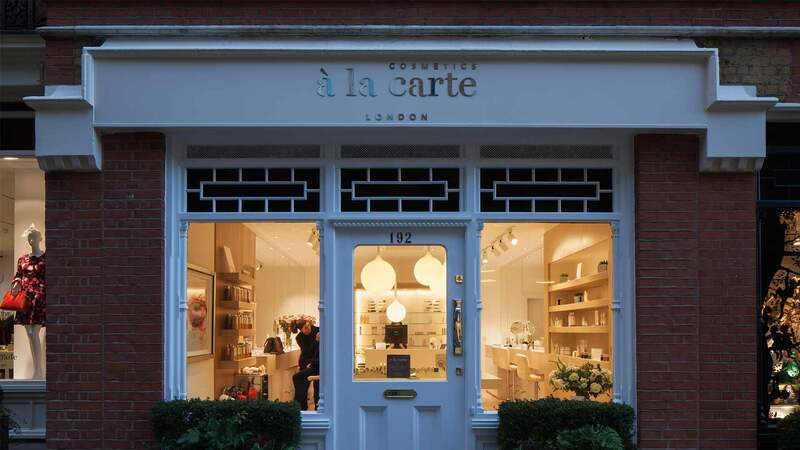 This luxury British make up and skincare brand’s ethos is to develop and design bespoke products using the finest ingredients and by leveraging cutting-edge cosmetic science. 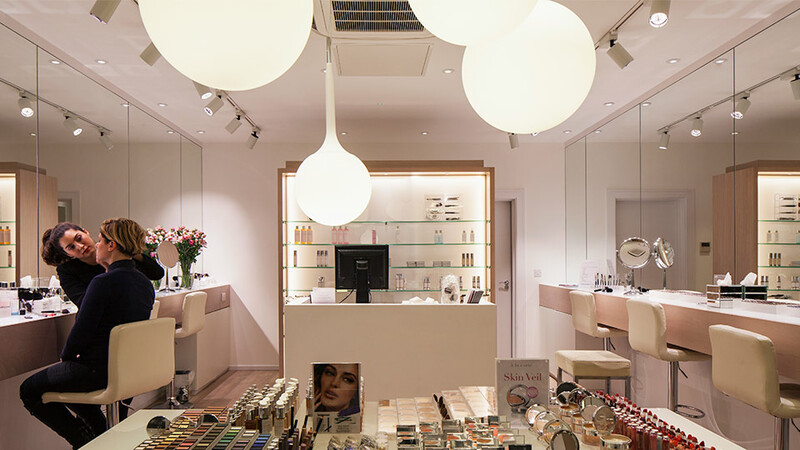 So cutting edge in fact, it was one of the first boutiques where we installed the Beauty Series LED module – a module that was developed in collaboration with Xicato directly from research we undertook with University College London (UCL). 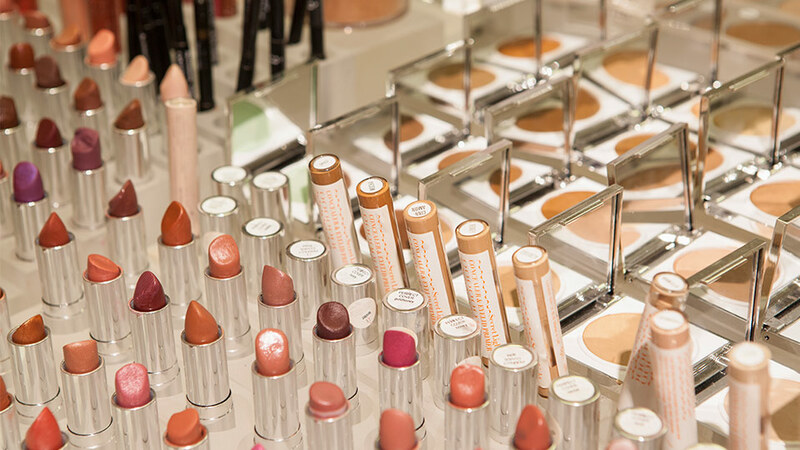 “Beauty Series” is all about giving customers the best light to – confidently – colour match their foundation. 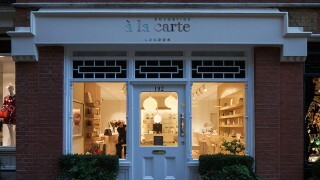 We’ve heard it’s proving to be quite a hit with staff and clients. 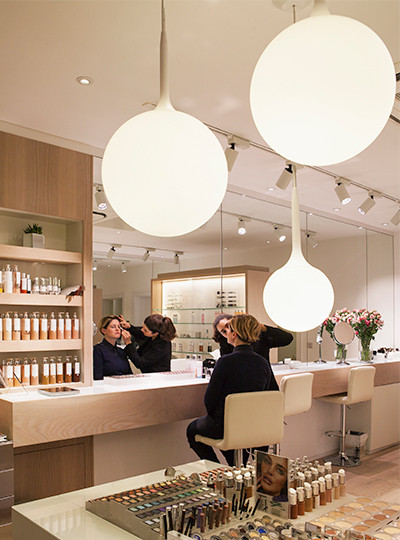 The flagship beauty store boasts a stylish but uncomplicated interior design palette so the lighting scheme had to be subtle yet effective. We used simple track lighting and carefully positioned downlights to create the most amount of flexibility, making sure the merchandise is always highlighted. 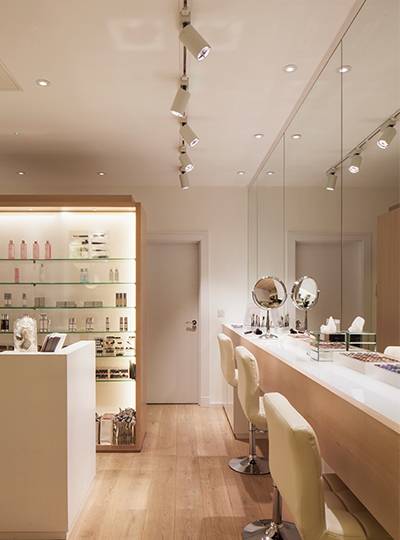 The end result is a retail lighting scheme that beautifully complements the interior giving clients a flawless face and brand experience. Creating a lighting scheme that makes customers look and feel good, enhancing a feeling of health and wellbeing. 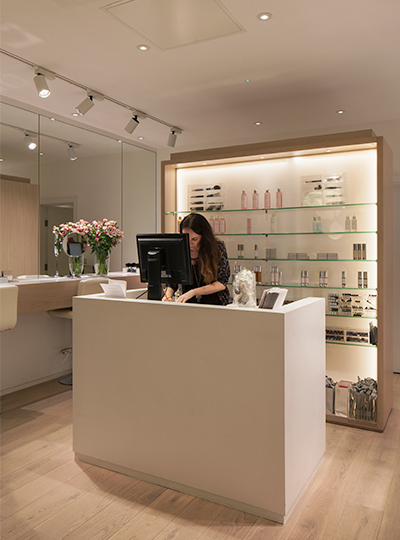 The lighting solution enables our signature couture make-up matching service to be provided accurately and easily both day and night at our flagship Sloane Square boutique.